Seeing as we already spend a great chunk of our lives at work, away from our beloved furbabies, it makes sense that we would want to include them in as many activities outside of work as possible. 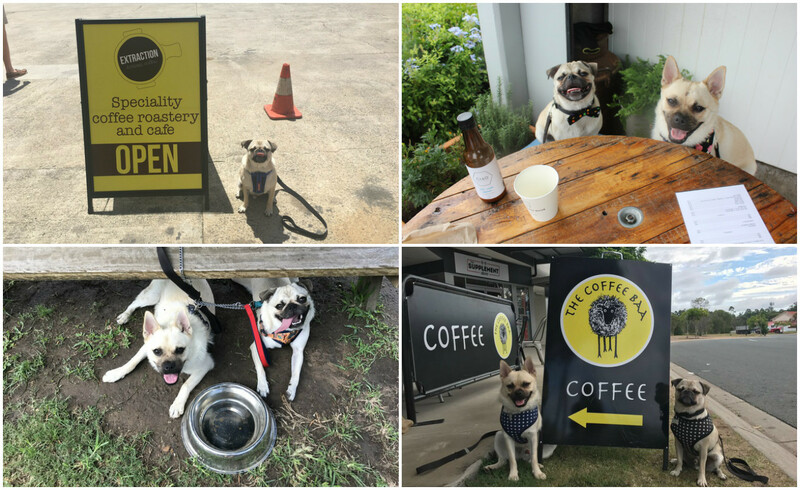 One of the best ways to do so is to treat them to a nice meal out, by visiting one of the many dog friendly cafes that are scattered throughout Brisbane - after all, would your pooch really say "no" to a puppiccino? Nope, I didn't think so! 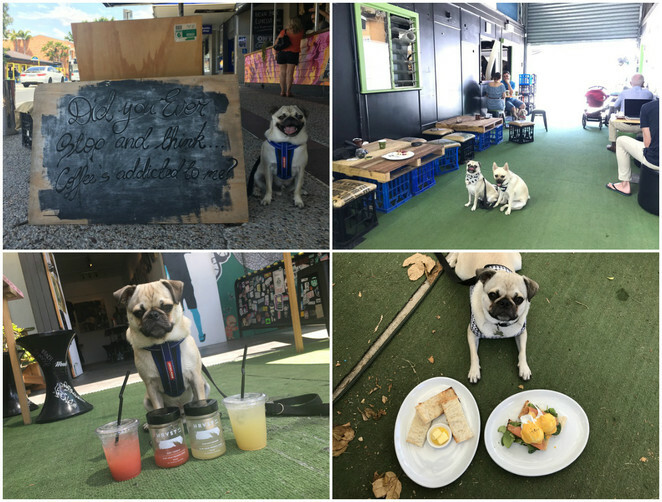 Note: This is by no means a complete list of all the dog friendly cafes in Brisbane, although it should be comprehensive to keep you going for the next little while! Also, the large majority of cafes that are dog friendly kindly ask that you and your pooch opt for the outdoor seating options, so as to comply with food health and safety regulations. There is no happier dog than a dog who has just enjoyed a freshly brewed puppiccino at a nice cafe. Eddy and Sam's faces say it all! Toff's Treats are available for purchase here! A wide selection of dog treats available for purchase! Many in-store baked doggy treats available, all proceeds go to the All Westie Rescue! Doggy beer from BeerDog's Brewhouse available here! Eddy and Sam having a blast at some of the dog friendly cafes located in Brisbane's Inner Suburbs. Bean Box Espresso Bar; MT Espresso Cup; Bench Espresso Bar; Arthur's Green. Blvd have their own doggy Instagram under @dogsatblvd! Dog treats from Sweet Crumbs available here! 38. 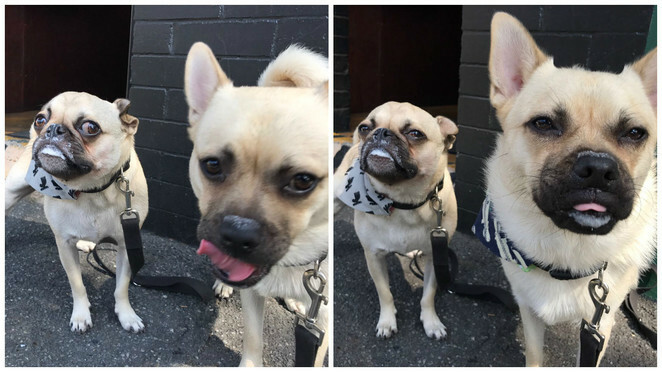 ALL INN BREWING Co.
Eddy and Sam having a blast at some of the dog friendly cafes located in Brisbane's Northern Suburbs. Rose & Edward Espresso; Coco Cozy Cafe; The Humpybong Distilling Company; BrisBean Coffee. Yummy and healthy pupcakes available here! Puppiccinos and more treats available, with free welcome bickies on arrival! 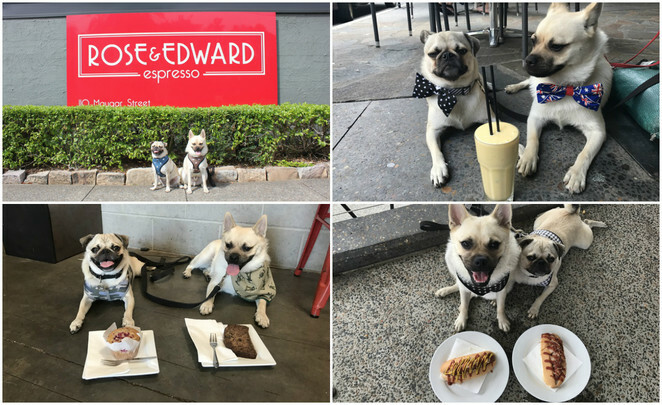 Eddy and Sam having a blast at some of the dog friendly cafes located in Brisbane's Southern Suburbs. Artisan Extraction Coffee; The Coffee Nook; Corner Cafe; The Coffee Baa. FREE dog treats are available here! FREE dog biscuits on arrival and a full doggy menu available here! Off-leash dog area available within the cafe, with puppiccinos and more doggy treats! Vegemite dog treats available here! Pupcakes, Pupchocs and Pupcookies from Pop's Pupcakes available here! Eddy and Sam having a blast at some of the dog friendly cafes located in Brisbane's Western Suburbs. The Cup Cake Taste & Espresso Bar; RSPCA Black Cat Cafe; J&C Orchard Cafe; Tocco Italiano. Do you like taking your dog out to a cafe with you too? 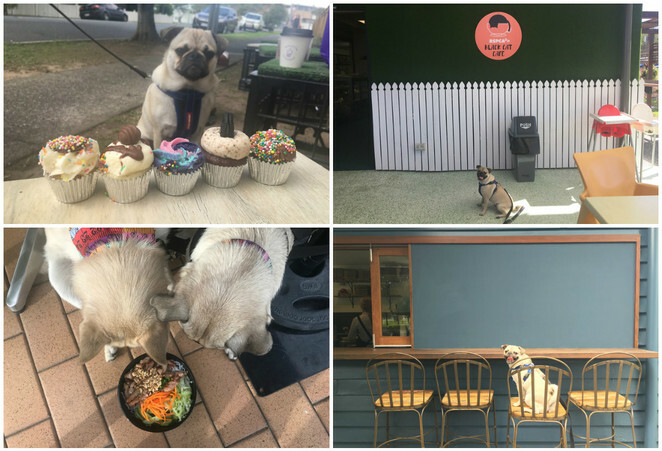 Have you visited any of these dog friendly cafes? Which ones were your favourite? Please leave a comment down below to let us know your thoughts! Why? 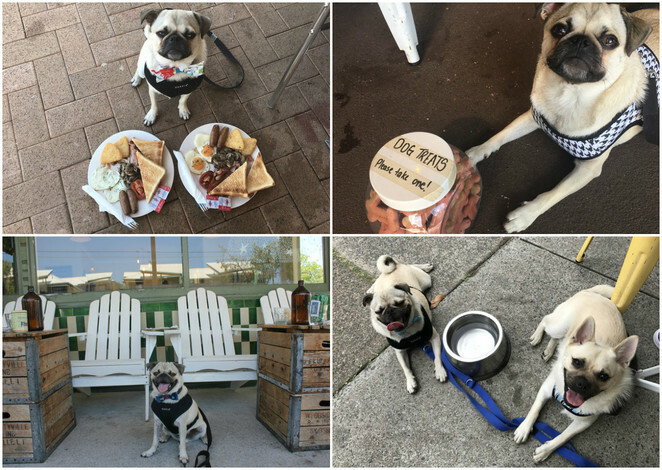 Because your pooch deserves a nice meal out on the town too! Really great news for pet lovers. I am sure the pets will have lots of fun dining out i those nice restaurants and cafes. Thanks for the information, Jane.